Her new world comes crashing down when the killer changes his plea to not guilty, claiming he was coerced into a confession. Corey must now testify in a murder trial, making the panic attacks and flashbacks to the night of the murders intensify. To top it all off, she's pretty sure her mother is having an affair with the prosecuting attorney. To Corey’s dismay, the story clearly doesn't end with the murder of her friends. My intentions for my second book were to right some of the wrongs of the first. In Out of Order, I fell into some stereotypes and harmful tropes without even noticing it; my first foray into queer young adult fiction was not perfect, and I will be the first to admit that. That’s one of the main reasons I stepped it up in Order in the Court. Order in the Court is mostly about a murder trial, but it’s also about being a queer kid going to university while simultaneously grieving an unimaginable loss and suffering from PTSD. That feeling of being a little fish in a big pond is intensified by the fact that Corey doesn’t really have a support system, going in. She quickly makes friends, including a lesbian she meets at a volunteer food drive hosted by her university’s Pride group. Unfortunately for Corey, that character doesn’t “believe” in bisexuality. When I started writing Order in the Court, I didn’t realise that one of my secondary antagonists was going to be a lesbian. When it became clear that my peppy Gold Star wasn’t going to make Corey’s life easy, I had one traitorous thought: I can’t make a lesbian a bad person. That’s bad representation. I wouldn’t ever want a young lesbian to read my book and feel like the character that reflected her was an ignorant jerk. Thus created my dilemma: is it bad to have an LGBTQ+ antagonist in a book that’s supposed to be LGBTQ+ positive? Obviously, not all lesbians are biphobic. This particular lesbian in this particular story happens to be. It took me a while, but I finally figured out how I wanted to play this: Contrast. When you only have one lesbian character in a book, and that character is biphobic, the implication may be that all lesbians are biphobic. If you have only one gay character and he’s effeminate, the implication may be that all gay men are effeminate. Corey, my protagonist, was never supposed to represent All Bisexual People, but by making her the only openly bisexual character in Out of Order, I did just that. She’s just one example of a bisexual person. It’s important to have contrasting characters to demonstrate that we are not all the same. Some LGBTQ+ characters fall into certain stereotypes; there certainly are effeminate gay men, promiscuous bisexuals, butch lesbians. These people exist and are valid members of the community. But if all your characters follow stereotypes, they’re not really people: they’re cardboard cut-outs, one-dimensional and flat. So I made sure that Order in the Court had a broader cast, with more queer characters. It has a biphobic lesbian character, but she’s not the only lesbian. It has an effeminate gay character, but he’s not made to represent The Gays™. There is more than one bisexual character. And while I would have liked to have gone even further, added even more diversity and intersections of sexuality, gender identity, race, class, ability… the book simply wasn’t long enough to work in everything I wanted to. Diversity isn’t about earning points, it’s about telling your story in a way that reflects life. Real life is diverse, real life is complicated, real life is messy: but that’s what makes it interesting. So let’s get down to the nitty gritty of it. How do you write an antagonist with a marginalized identity without vilifying everyone with that identity? DO make it clear that your antagonist’s sexuality/gender identity isn’t what makes them a bad person. DO create complex characters who are more than a collection of stereotypes, and have clear motivations and reasoning that makes sense in the context of your story. DO contrast characters with that identity, e.g. one “good” or “neutral” gay character when you have a gay character that’s “bad.” You don’t want to reinforce the “straight = good / gay = evil” stereotype. DON’T have that character represent every person of that identity. DON’T rely on stereotypes or used “queer coding” to make it clear that your character is the villain. DON’T have other characters use your antagonist’s marginalized identity as a scapegoat or a reason for their actions. DON’T “code” queerness into your villain without making it explicitly clear that they are queer. Historically, queerness has been “coded” into villains on television and in film as a way to cheat the censors. This dates back to the Celluloid Closet, the period from 1930 to 1968 during which there was a legal ban on queer characters or any explicit reference to homosexuality in Hollywood. This practice subliminally linked criminality and mental illness with queerness and has become so common place that it is a non-issue. Some recent examples include Hades in Disney’s Hercules, Moriarty in BBC’s Sherlock, Loki in The Avengers, and Raoul Silva of the Bond-film Skyfall. Make yourself aware of the tropes and clichés associated with these homophobic depictions (particularly the “limp wristed sissy villain” and the “evil bisexual seductress”) and simply avoid those stereotypes whenever possible. Crafting a convincing antagonist is hard in any type of story; try not to fall back on potentially harmful clichés to avoid that struggle. If you’re going to have an LGBTQ+ character as your antagonist, make sure to contrast, contrast, contrast. If your villain is a gay man, make sure to have a gay man as a superhero, too. Same goes for contemporary stories. Have a slutty, mean, bisexual ex-girlfriend who wants nothing more than to thwart your protagonist’s love story? Make sure she’s not the only bisexual character, so that readers can see that there are nice bisexuals too. It’s not always bad to have stereotypical queer characters. These characters only become problematic when they are expected to represent the entire group to which they belong. There’s nothing wrong with having LGBT bad guys, so long as they aren’t only bad guys. Casey Lawrence is a 21-year-old Canadian university student completing an undergraduate degree in English Language and Literature. She is a published author of LGBT Young Adult fiction through Harmony Ink Press and has been actively involved in LGBT activism in her community since she co-founded a Gay-Straight Alliance in high school. 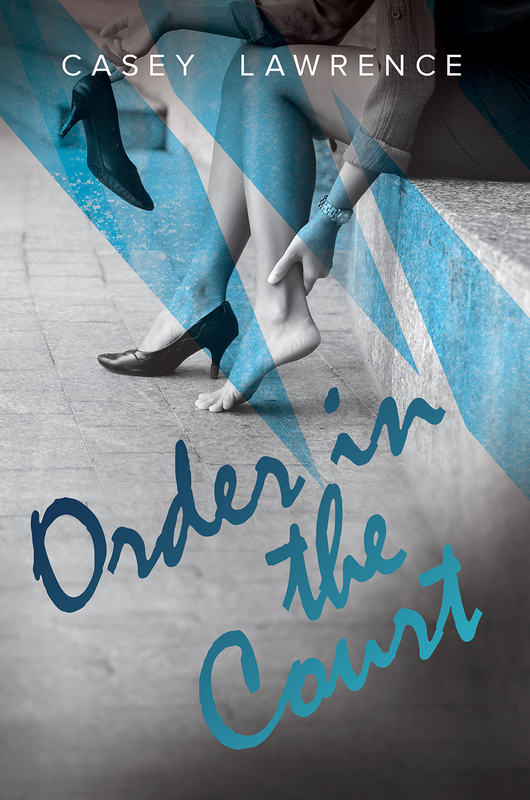 Her first novel Out of Order is available through all major online book retailors and its sequel, Order in the Court is currently available for preorder.